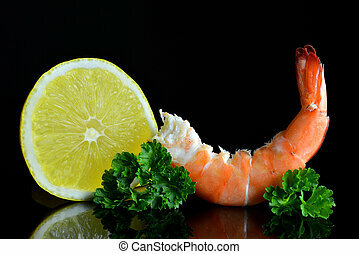 Fresh boiled shrimp and lemon slice. 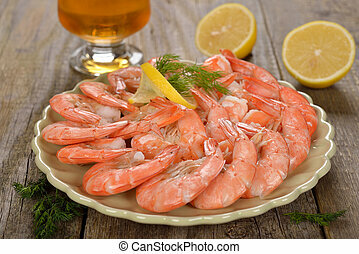 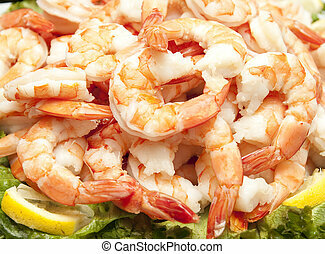 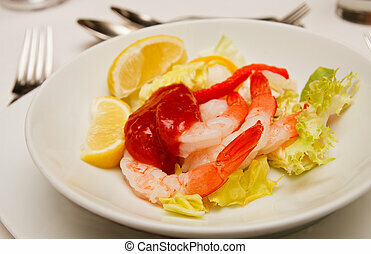 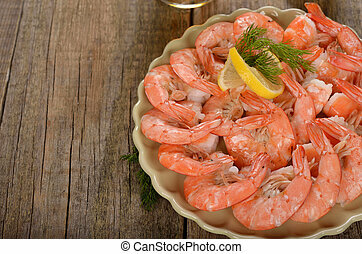 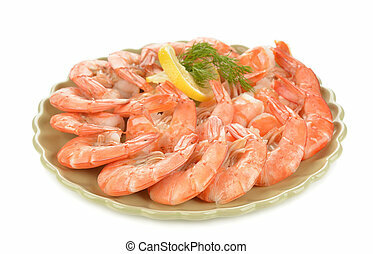 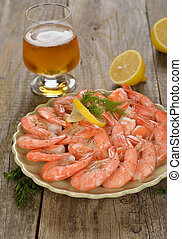 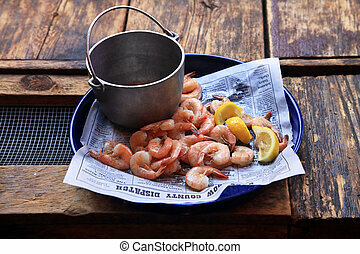 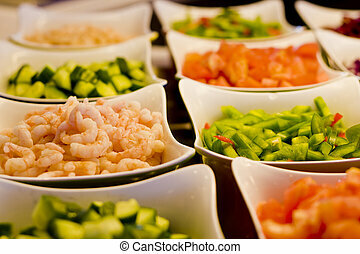 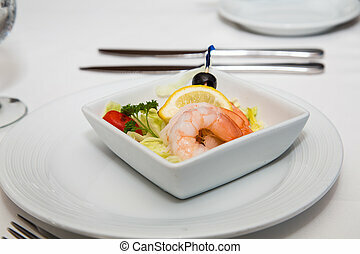 A platter of fresh boiled shrimp on a bed of lettuce and a lemon slice. 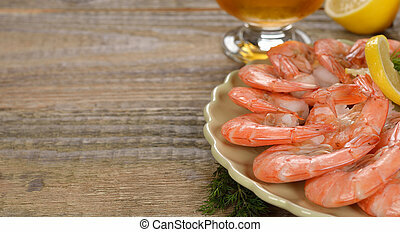 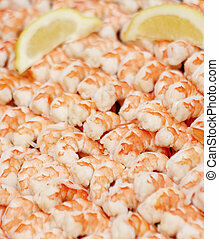 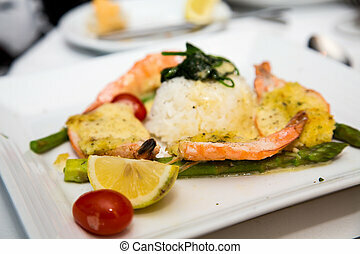 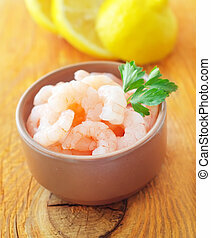 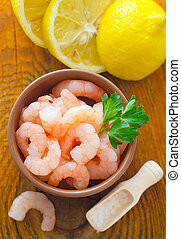 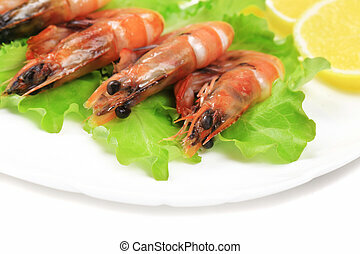 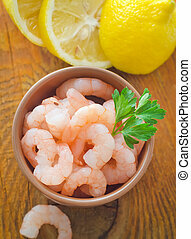 Fresh shrimp with slice of lemon isolated on black background. 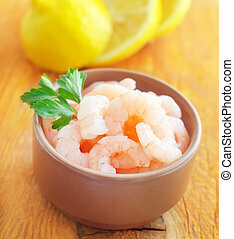 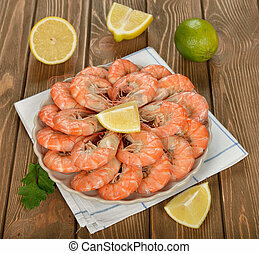 Fresh boiled shrimps with lemon. 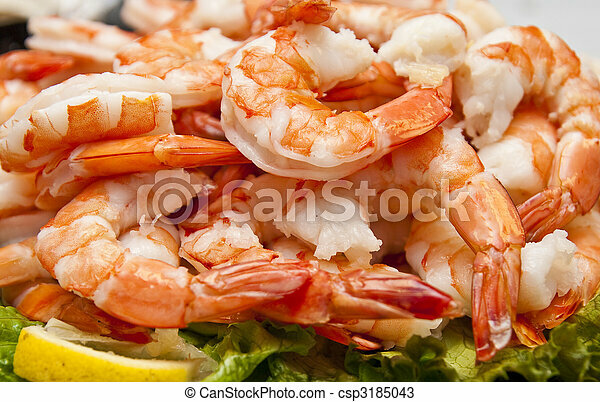 Whole background. 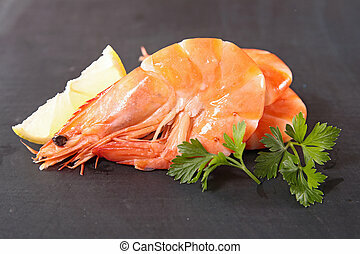 Boiled tiger shrimps with lemon slice. 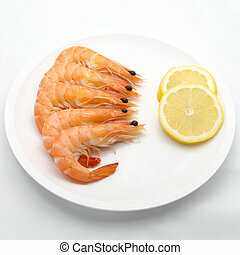 A tray of cooked shrimp with a lemon wedge.